Your event – a wedding, birthday party ot corporate team-building session – can happen year-round at the BBAC, a unique setting that accommodates a dozen or 200. Meetings & small gatherings can take place just about any time. Larger events are scheduled during off-hours, usually on weekend nights & Sundays. 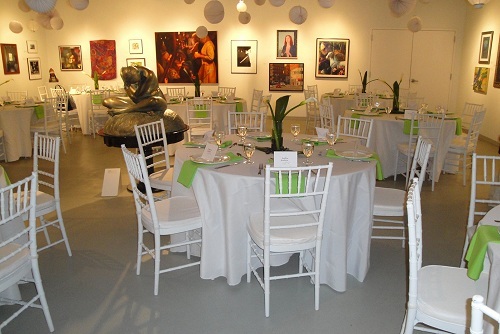 Rental fees range from about $500 for a small meeting up to $5,000, depending upon space use & the event itself. The BBAC has a limited number of tables & chairs – many clients rent what they need. The BBAC will recommend caterers but the final choice is yours. For more information, please call 248.644.0866 & let us know your prospective date(s) & time(s), what type of event & about how many people you expect.